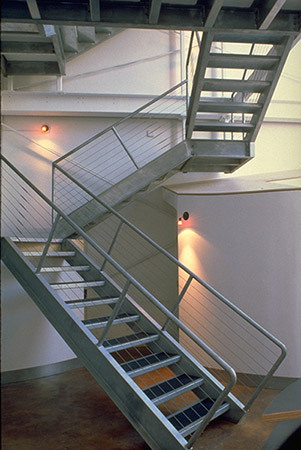 Our design to renovate an existing warehouse space for The Design Company began with the company’s desire to give their clients a sense of the energy and activity of their studio while maintaining each client’s visual privacy. 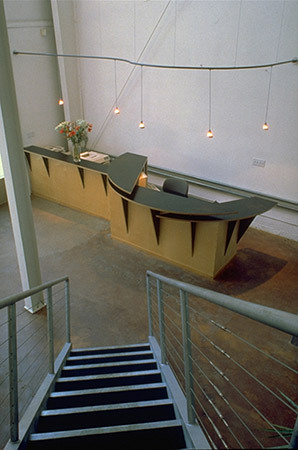 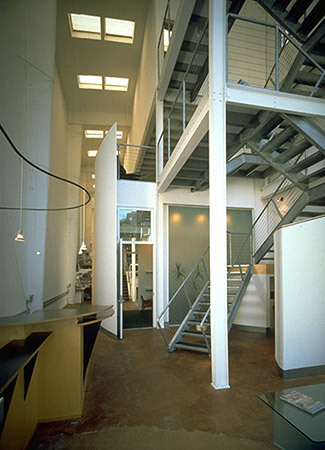 The conference room was inserted as an object between the entry, reception area and stair at the front of the building, and the large studio space at the rear. 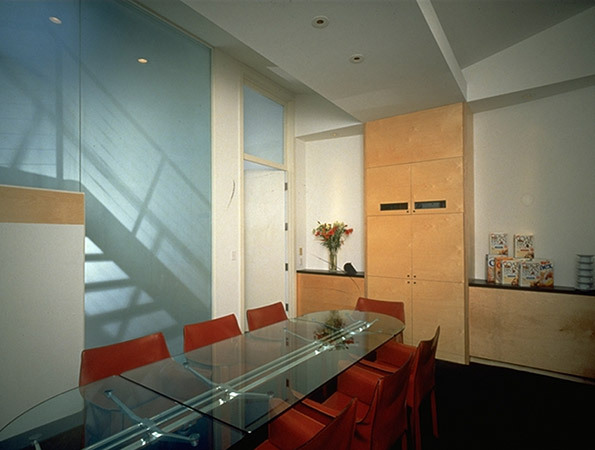 Clients enter the building and continue into the conference room or up to the director’s office above, with an opportunity to glimpse the work activity beyond without actually entering the studio space.